I got a chance to check out the Sea to Sky Gondola during its first few months of operation last summer. 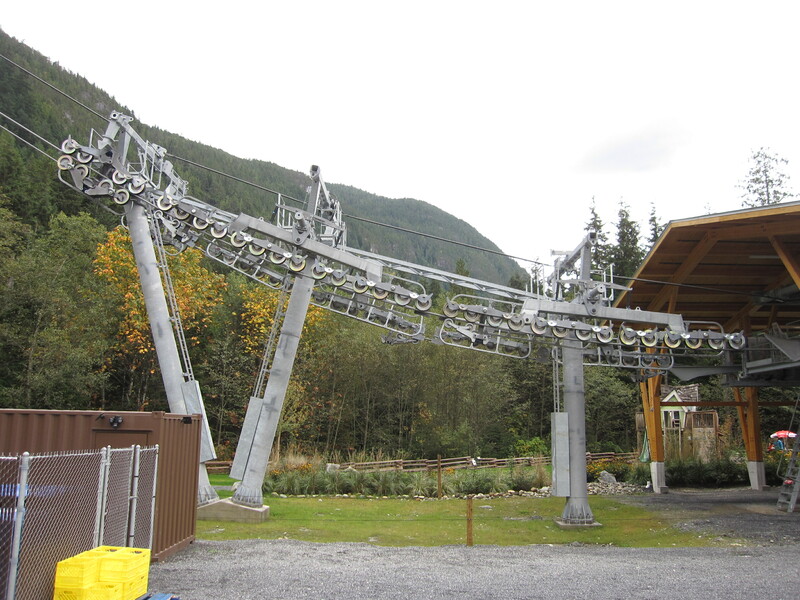 It’s located along the Sea to Sky Highway between Vancouver and Whistler. 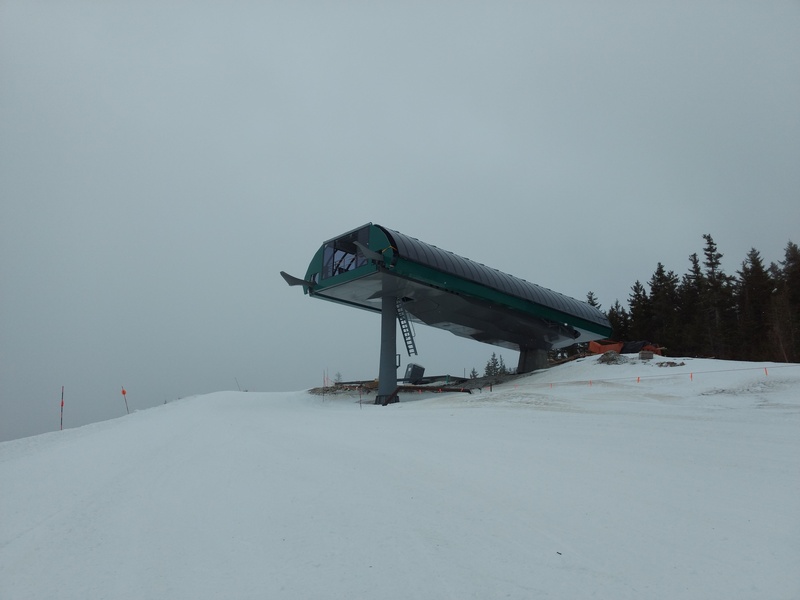 The system is just over 7,000 feet long and goes from a parking lot at sea level to a lodge 3,000 feet above. There are 20 CWA 8-passenger cabins that take riders to the top in 7.1 minutes. The summit lodge has expansive views of Howe Sound in addition to hiking trails and snow tubing in the winter. The project cost $22 million to build and is owned by a small group of private partners. The bottom terminal has a unique wooden roof over it. 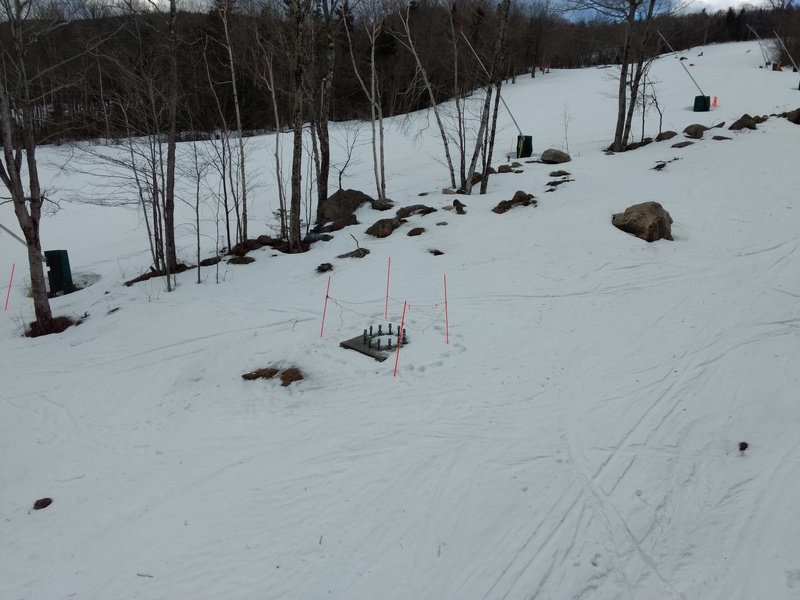 No snow to worry about here. 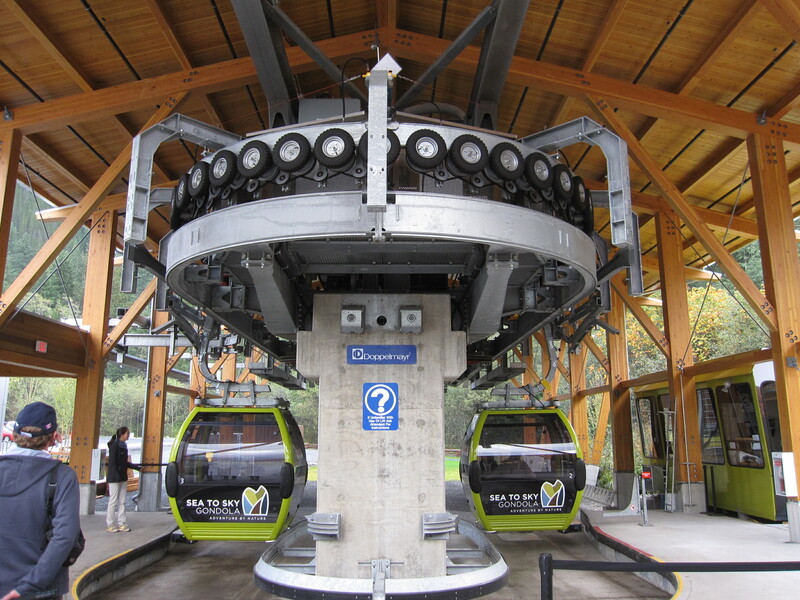 Doppelmayr began building the gondola in April 2013 and it passed its acceptance test in January 2014. The bottom drive terminal has a unique wooden structure over it instead of the normal Uni-G terminal. 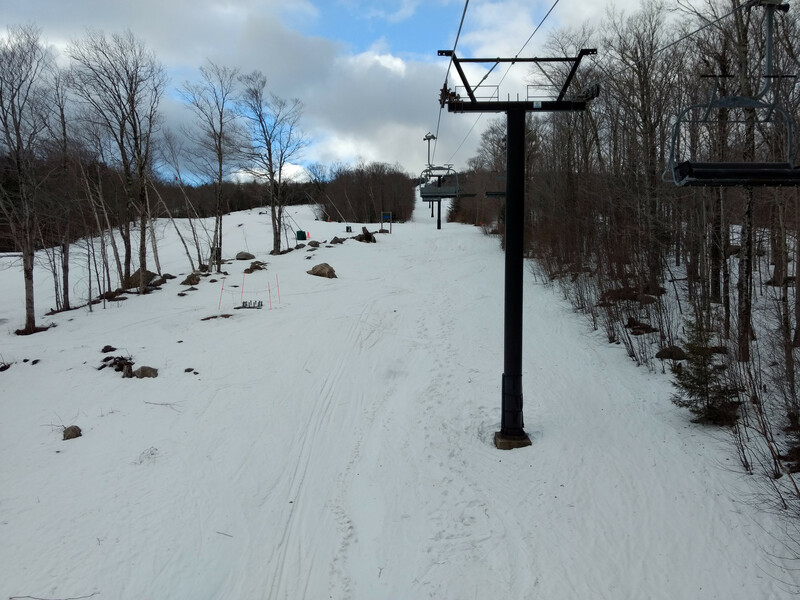 The lower section climbs an 800 foot cliff and none of the lift line is accessible by road. Many of the 14 towers were anchored directly to bedrock. Most trees under the line were left standing which would make for a challenging evacuation. The first 3 towers have a combined 80 sheaves. 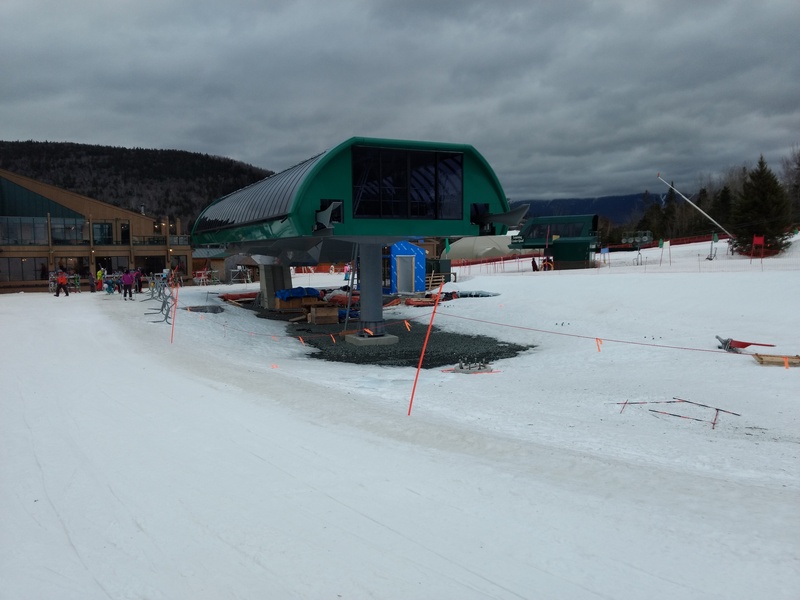 The gondola had a major accident on February 4th, 2014. At the time it was only open for construction workers and the media. The system stopped automatically around 8:30 am due to two rope position faults at tower 7. 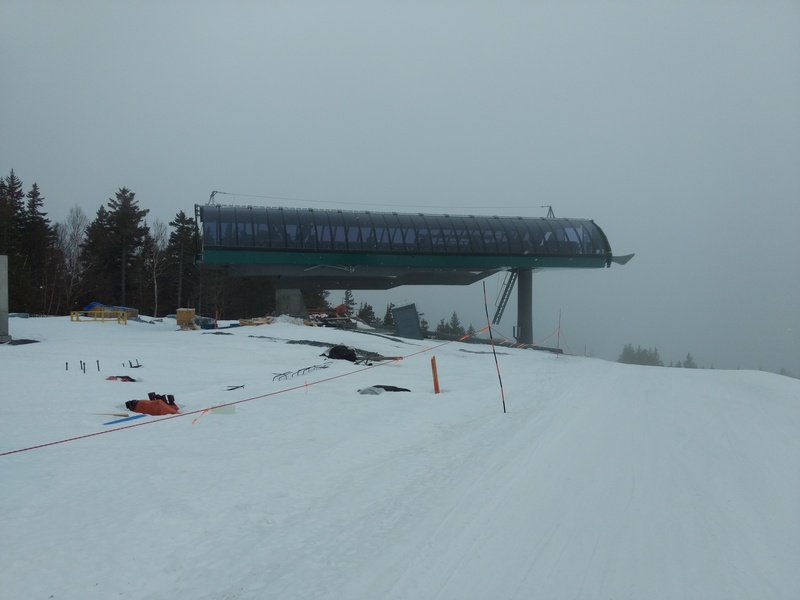 The only personnel on-site were two operators, the Mountain Manager and an employee from Doppelmayr. It took the Doppelmayr employee almost two hours to reach tower 7 on foot where he found a cabin on the ground.